Presentation/Honour cricket caps can be made in various designs and colours to order. 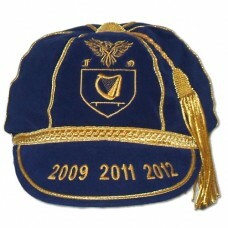 They can also be embroidered to make them a truly special cap. Minimum order quantities and longer delivery times apply.